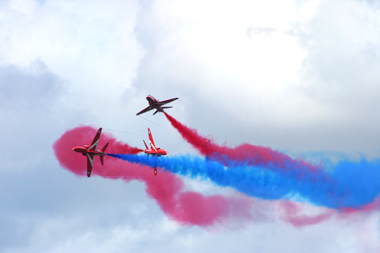 Wings and Wheels, a family day out bringing together some of the finest civil and military aircraft displays in the UK. 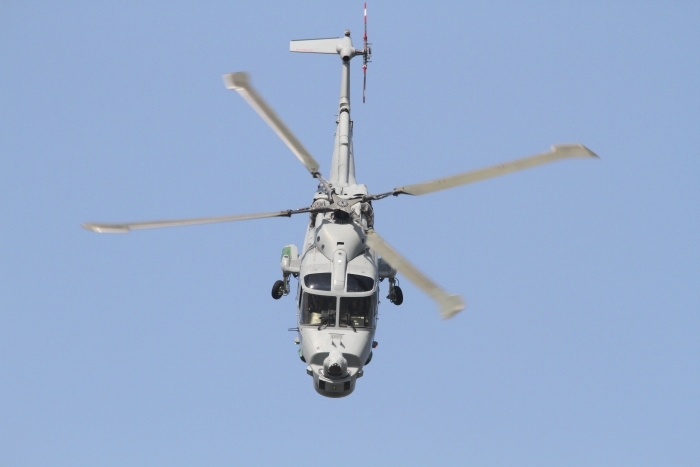 Also includes motoring, motorcycle displays and military vehicles. 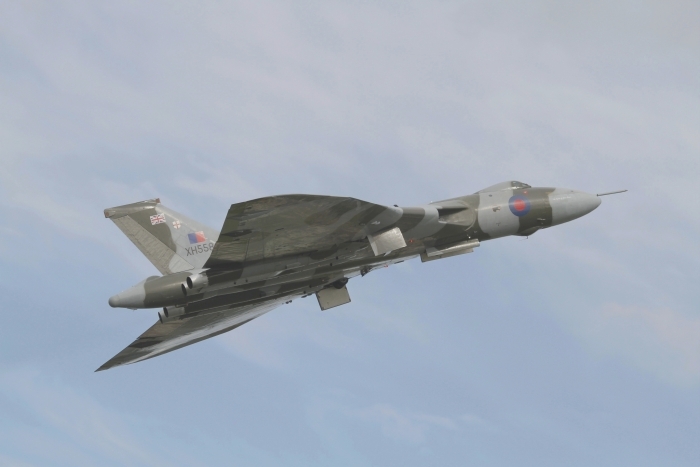 Dunsfold is situated west of Gatwick Airport and is probably most famous for its development of the Hunter, Harrier and Hawk aircraft. 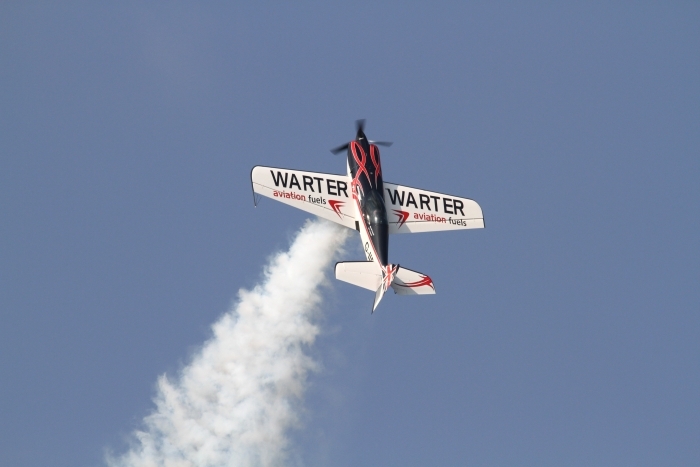 The show is held on the Sunday of the August bank holiday and includes a fantastic line up of record breaking racing cars, motorcycles and motion displays. 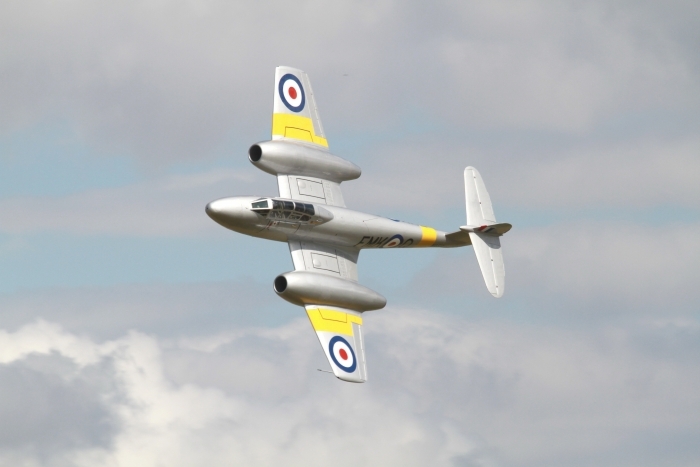 Also a flying of vintage and classic aircraft and a approximate four hour flying display. 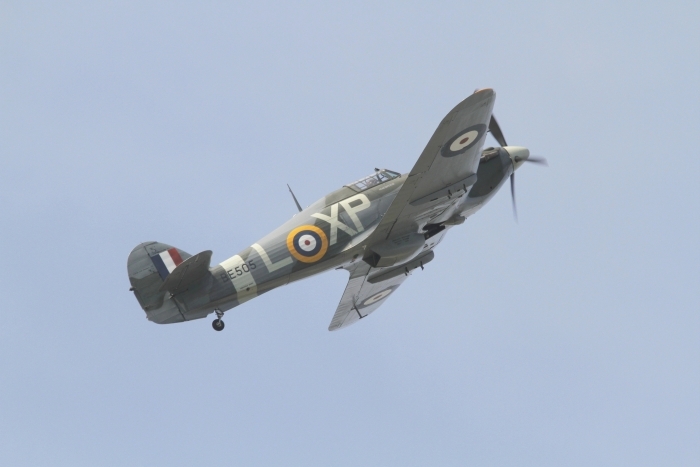 Dunsfold Wings and Wheels display raises money for local charities. 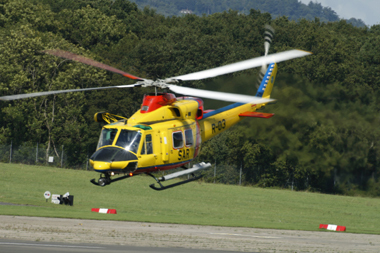 BBC’s Top Gear is also filmed at Dunsfold Aerodrome. 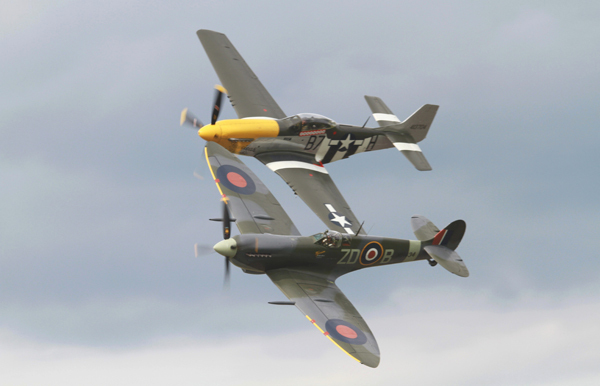 Wings and Wheels is held at Dunsfold Aerodrome near Guildford in Surrey for the two-day event. 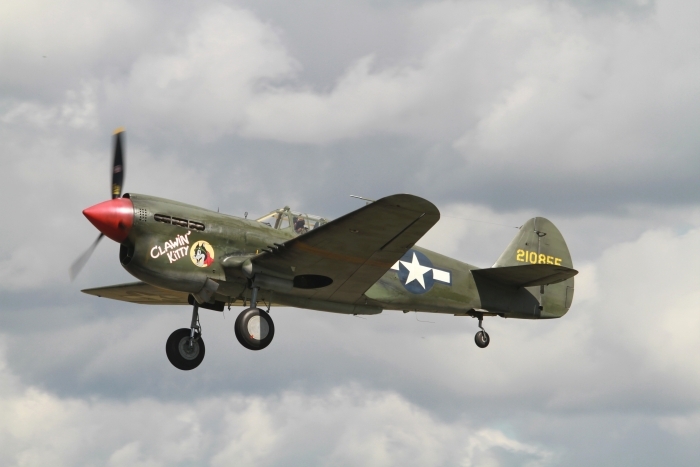 Many types of aircraft used to operate from Dunsfold in years gone by, such as Mosquitos, B-25 Mitchells, Mustangs and Spitfires. 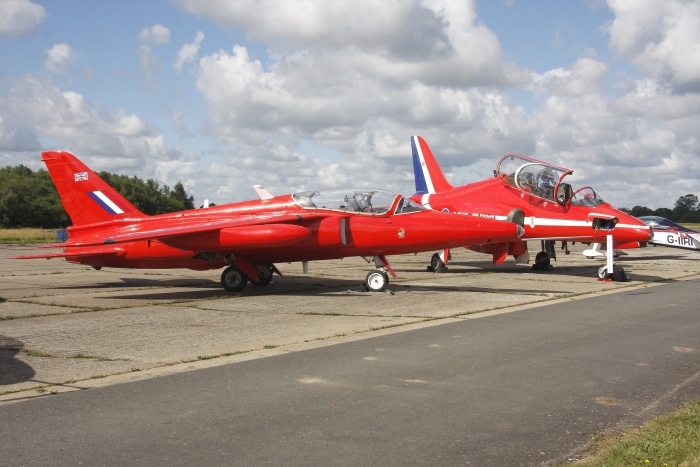 Much later in time Dunsfold Aerodrome was used for testing aircraft, such as the Hawker Hunter and the Harrier Jump Jet, nowadays you can enjoy the thrills of vintage cars, motorcycles, military vehicle reenactments and many other attractions, including great flying displays. Sunday 25th August was the better day, while the conditions were not ideal on Saturday. Weather improved slowly for a good days programme for the 25th. 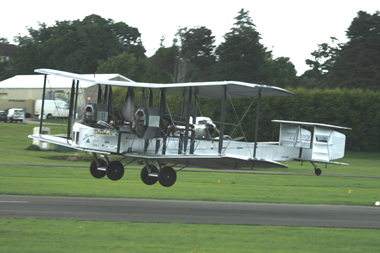 To start the show was the motoring demonstration, followed on by the flying programme. 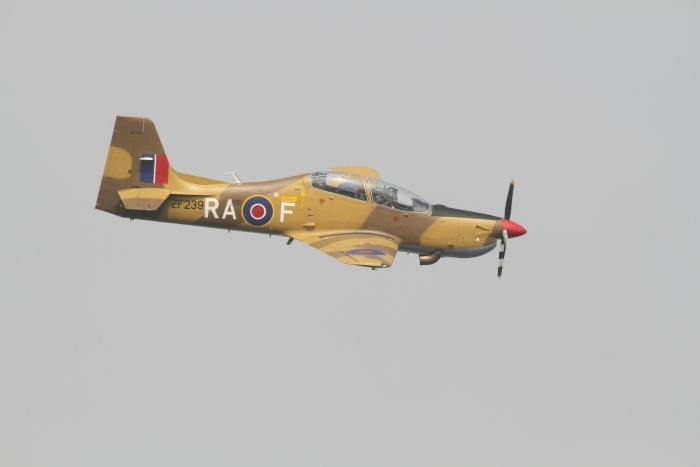 The first aircraft up was the RAF's Tucano from No. 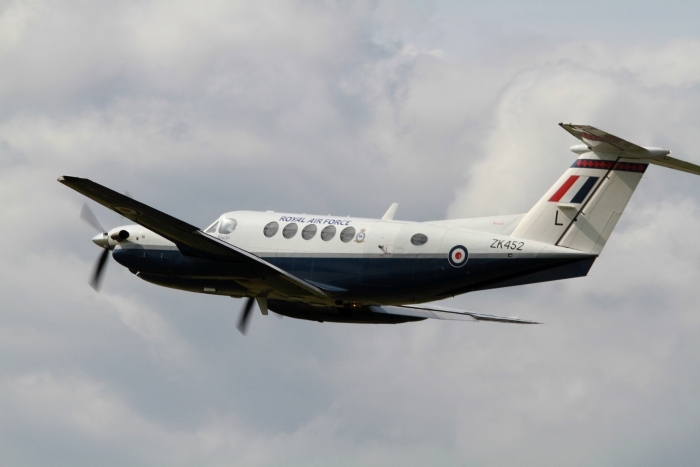 72 Sqn based at Linton-on-Ouse near York, it displayed well under low cloud, followed on by the Jet Provost T5. 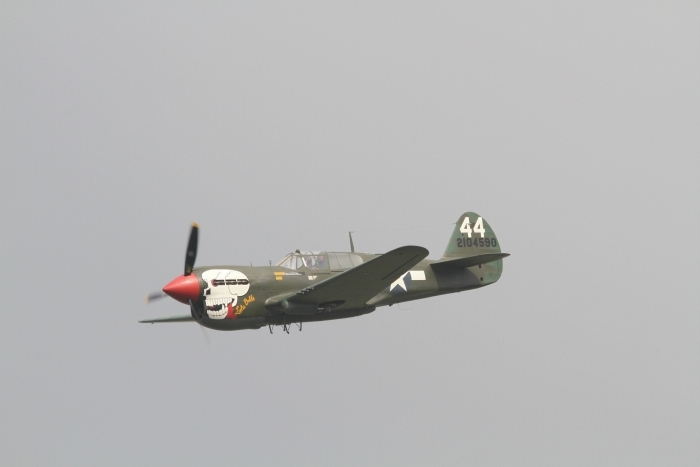 Other aircraft that displayed well and entertained the crowds were, the P-40 Kittyhawk, BBMF (one of the best supported displays by the public), Royal Navy Lynx from the Black Cats, B-25 Mitchell, took off but had to return due to a slight problem. 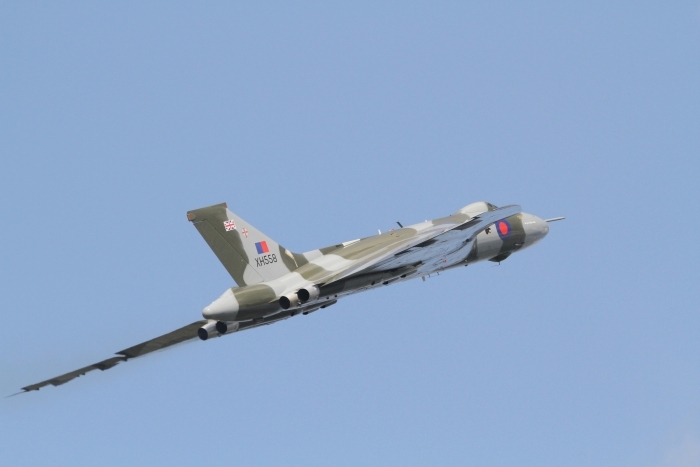 The mighty Vulcan arrived with a top side pass that got all the cameras clicking away, and showed what an impressive display the aircraft can do. From a loud sound to no sound was the Army Tigers Parachute Team. 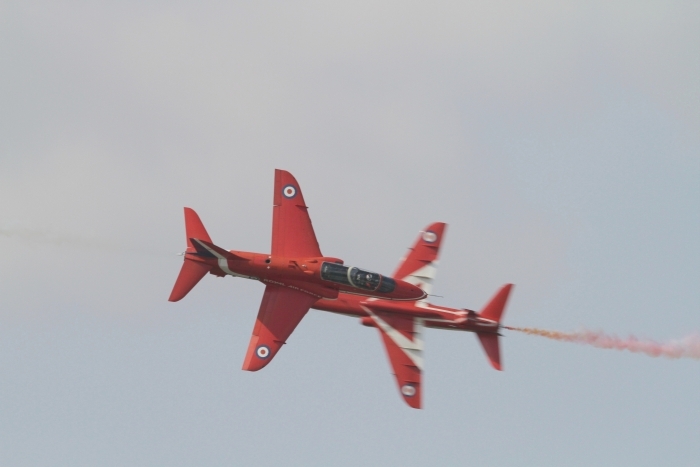 Operated by father and son are the Red Duo Formation Team radio controlled jets, fantastic showmanship. 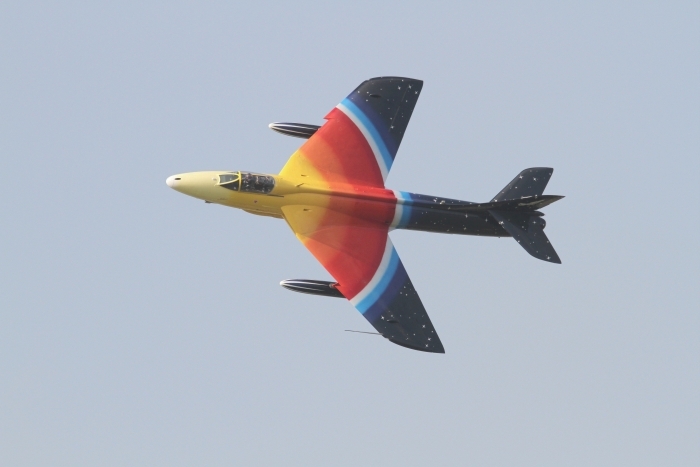 I wonder if the RAF display team were watching, be nice to see them back at Dunsfold next year. Now to the piston age of a Hurricane flown by Peter Teichman, and the Royal Naval Historic Flight, the Sea Fury, together in formation then splitting up for a solo display, keeping with the Navy and the Fairey Swordfish known as the Stringbag. On with the Wingwalkers, they later flew in formation (for the first time) with a Sea Fury and the Swordfish. 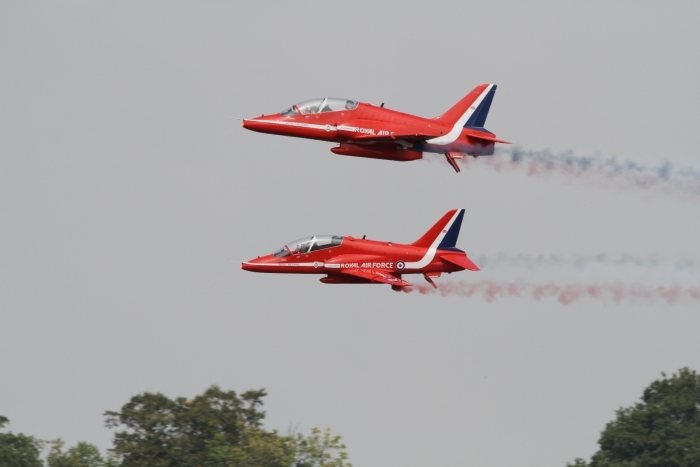 On to the remaining displays, a pair of Folland Gnats, RAF Chinook, The Red Arrows, GliderFX, Hawker Hunter Miss Demeanour, The Blades Display Team, and to finish off the last half hour is the RAF Typhoon and the Army's Apache attack helicopter. A big thanks to the organisers for their hard work. Wings and Wheels Dunsfold near Guildford in Surrey, this year was the 11th show. As usual plenty to see and do with trade stands and historic and classic vehicles. 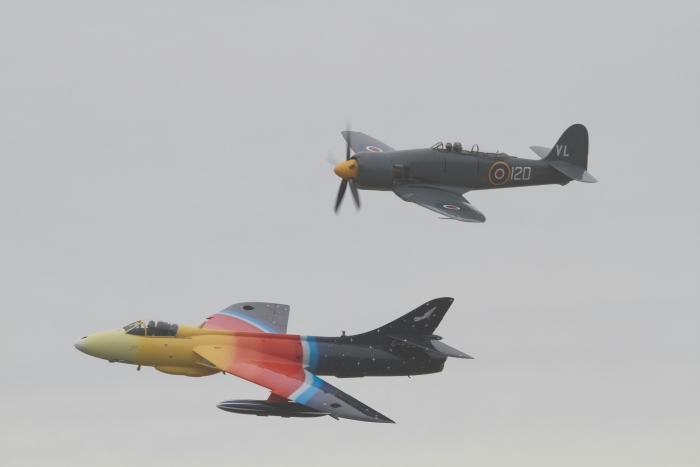 With a mix of piston and jet aircraft there was something for everyone. 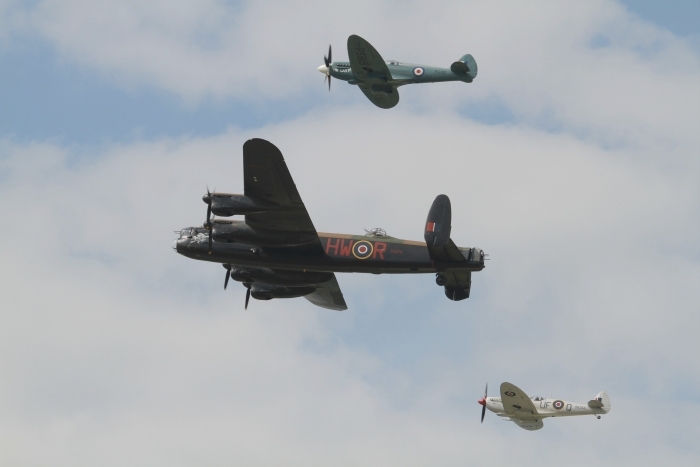 From Peter Teichman’s P-40 Kittyhawk and Hurribomber, through to the Sea Fury T.20, Meteor T7, Hunter and the ever popular Vulcan bomber what more could one ask for. 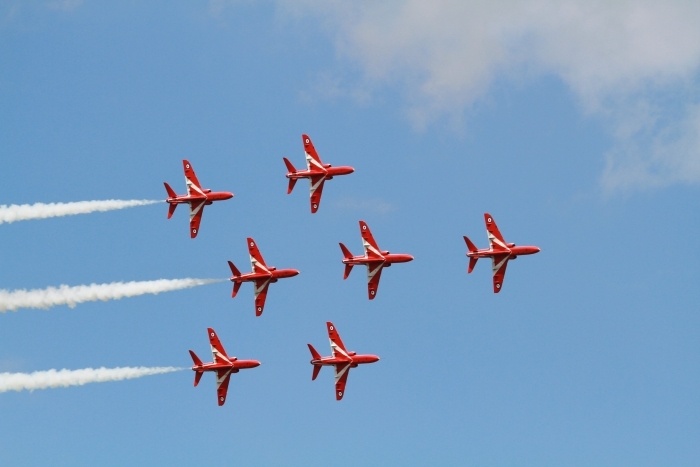 RAF participation was big this year at Dunsfold and included the Red Arrows, The Battle of Britain Memorial Flight, Hawk, Tucano T1 and the fabulous Tornado GR4 role demo. 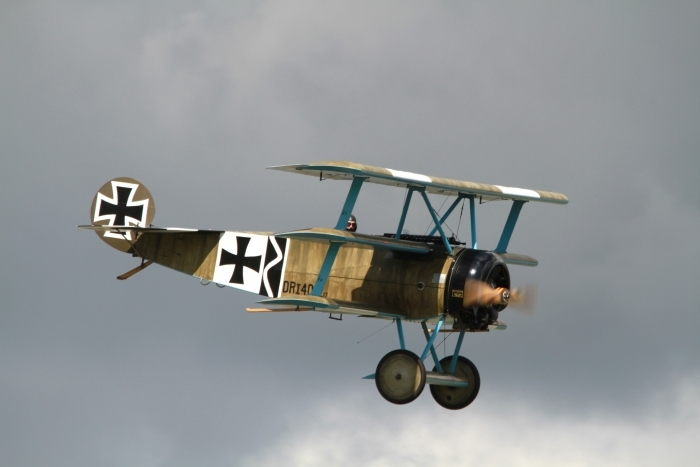 Other aircraft taking part included the Blades, Matadors and the Breitling Wingwalkers. 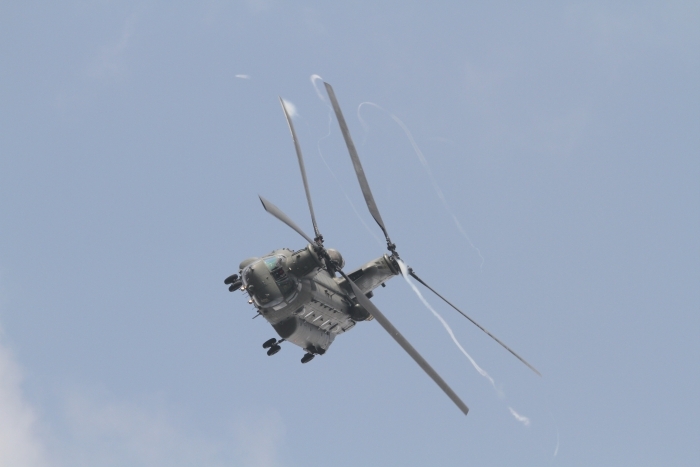 Two popular helicopters were at Dunsfold, the Army Air Corps Apache AH-1 from RAF Wattisham and the Merlin HC3 from RAF Benson. Something completely different was Brendan O'Brien in the Piper Cub doing his usual precision landings and takeoffs on the back of a moving truck. The static park hosted the DC-3 Dakota from Aces High, several BAE System’s Hawks and a Folland Gnat, which was open for the public to sit in. As usual a well planed show, the skies were overcast but most of the time the rain held off. 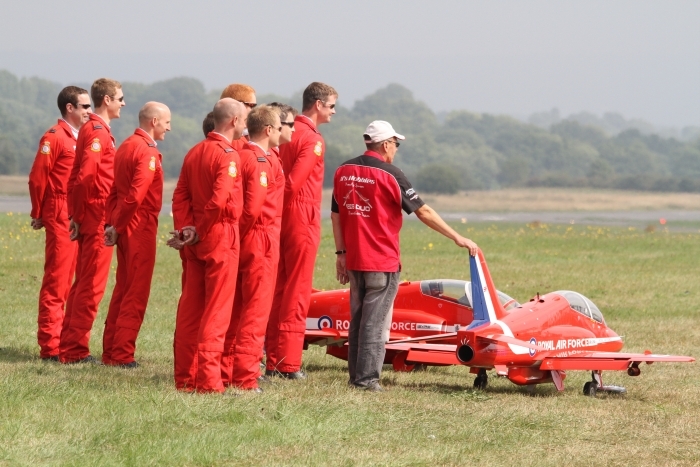 Dunsfold goes from strength to strength each year. 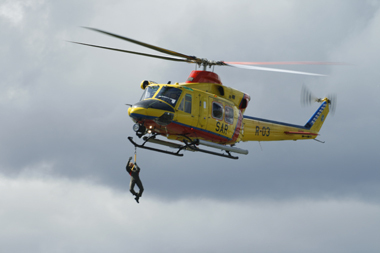 The weather conditions for 2008 were not good, with heavy rain and low cloud which left the airfield waterlogged. As the day moved on the clouds and rain gradually moved away, by the middle of the day the sun was coming out. 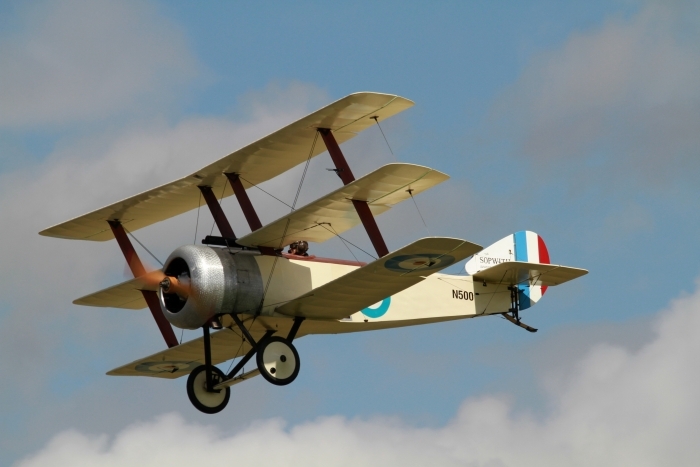 Some of the aircraft attending Dunsfold were the Vickers Vimy 19/94 replica, The Battle of Britain Flight, The Blades and The Turbulent Team to name a few. Displaying at Dunsfold for the first time was the Eurofighter Typhoon. 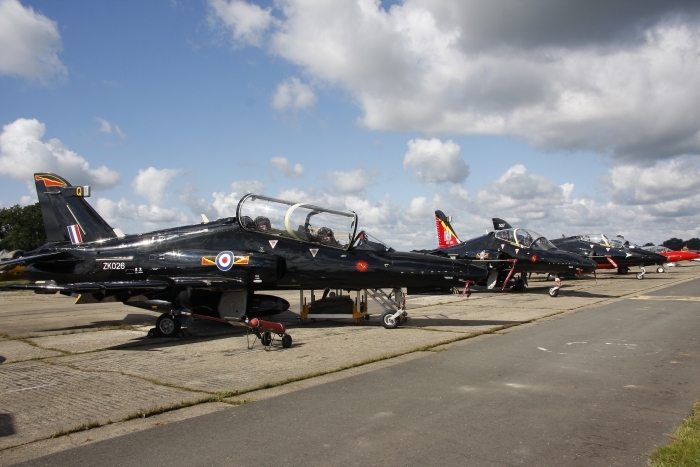 Once again Dunsfold produced another fine afternoon of flying from some of the country's old and new aircraft. Below are a selection of photographs from Dunsfold Wings & Wheels Air Show 2008.